The concept of learning foreign languages in school has always been productive as it not just imparts linguistic skills but enables the students to explore and learn about related cultures and lifestyles. Learning a Foreign language is all about learning how to truly communicate and connect with others—an incredibly important communication skill that can only be cultivated by interacting with people which will help the students in career and life. The Manthan School is one of the best schools in Delhi NCR which offer French, German, Spanish and Indigenous Sanskrit language in the school curriculum other than Hindi & English. The introduction of another Language ensures a self-guided progressive approach to achieve the goal of learning a new language. 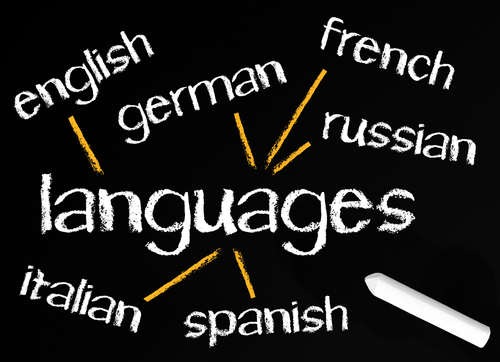 Learning an additional language has many amazing benefits especially for school students. It not only increases the number of people a student can communicate with but increase job opportunities improving life and career. It also helps the student to be more confident and gives the opportunity to study abroad and opens the mind to new cultures. The Manthan School is the best primary school in Noida Extension which believes that learning another language is an accomplishment of which a student can and should be proud! Not only will it helps in enhancing the student intellectually and emotionally, but it will make the student abetter communicator, empowering him to reach his goals, and boosts self-esteem.